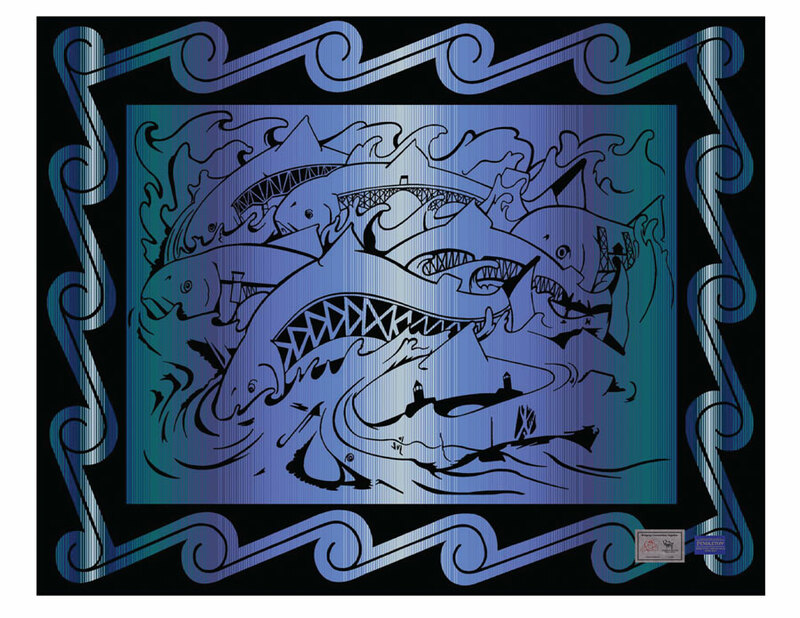 Exhibit at the Multnomah County Library – Now! Portlanders revere our central library as the grande dame of a network of libraries, large and small, that serve our metro area. 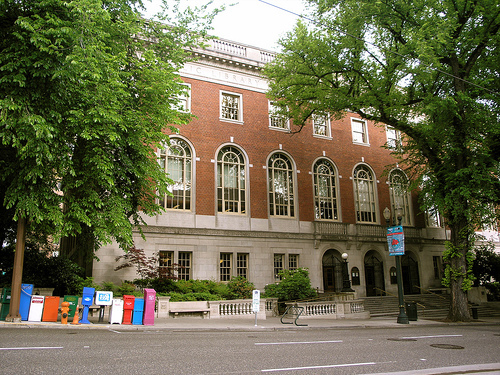 The Multnomah Country Library fills an entire block in the heart of downtown Portland with its trove of information. The library also hosts several displays on its upper floors. Local readers will want to stop in to see out this one; Smoke Signals, the Literature and Culture of Native America. This collection of rare Native American manuscripts will be on display until March 24th, with rare works from antiquity to the present. 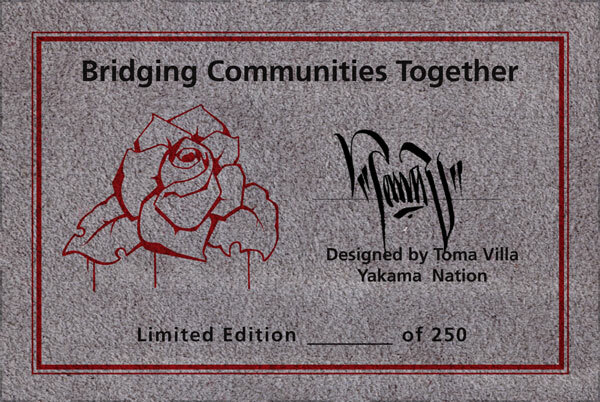 Also on display will be two Pendleton blankets, including this very limited edition “Bridging Communities Together” blanket, designed by Yakama Nation artist Toma Villa for the NCAI. The books and manuscripts are part of the John Wilson Special Collections, with artifacts (including blankets) loaned by NAYA. The blankets are lovely, but the stars of the show are the written materials. Please give them a visit.